Need shorts? I love these adidas Women's Ultimate Woven 3 Stripe Shorts 2-Pack for ONLY $24 Shipped (Retail $59.98) with promo code PZY24 at checkout. As with all of the Ultimate Shorts, the Ultimate 3-Stripe Knit Short 2-Pack is a true must-have. Constructed with a lightweight knit, these shorts are made to move with you. Colorblock panels provide a fresh way to help you mix and match your tops. 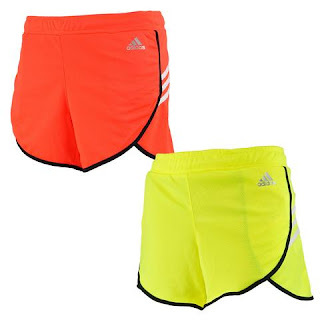 Additional features include applied 3-Stripes, brushed elastic waistband, internal drawcord and adidas brand mark at left hip.